VALLEY CITY, N.D. — A company that plans to build a $1.7 billion fertilizer production plant in Grand Forks, N.D., is expanding its seed capital — or shareholder — drive to include farmers and others in the region, and beyond. Darin Anderson, a Valley City, N.D., farmer and chairman of the managing partners for Northern Plains Nitrogen LLP, based in Grand Forks, confirmed that as of Sept. 23 the company was able to publicly offer its seed capital “unit” shares to people other than those closely linked to a small group of founding investors. The plant is expected to use natural gas, presumably from the Bakken oil fields of western North Dakota. From the natural gas, the company will produce ammonia, urea and other value-added products. *Article originally published on AgWeek.com, September 25, 2013. Click here to view full article. September 25, 2013: Plans for North Dakota’s first Fertilizer plant are moving forward. 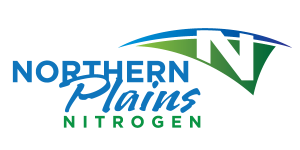 As of today, Northern Plains Nitrogen offers growers and other interested parties the opportunity to invest directly in the $1.7 billion project located in Grand Forks. The plant, which is slated to begin operation in 2017, will greatly benefit local growers by providing a solution to the lack of domestic Nitrogen production. *Click here to view press release.